Food waste is generally seen as a Bad Thing, but then again, we all like to eat good food, right? Most of us manage to over-cater at some point and we're left with all manner of leftover veggies that are perfectly edible but not exactly tempting on their own! And what about the waif-and-stray unused veggies that are rattling around the veg box, waiting for some attention? We've rounded up some awesome recipes to use up leftover vegetables in tasty low-carb recipes that mean you get to eat well, stay low carb and save money at the same time! Win! 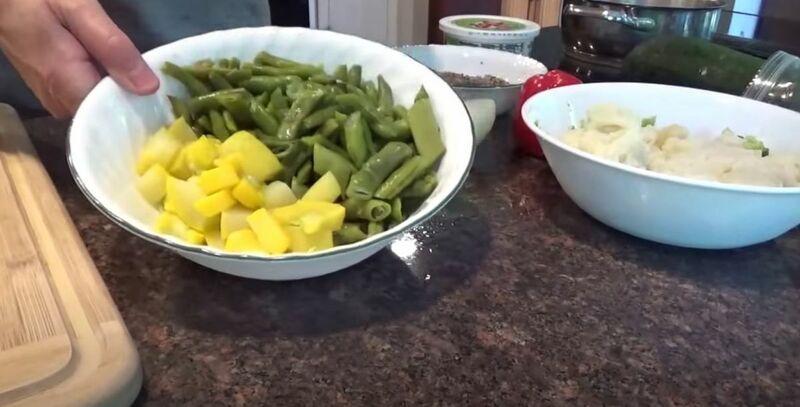 This great video is fun to watch and most importantly, gives a mouthwatering result! 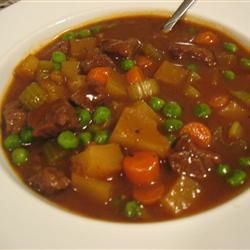 This hearty leftover steak soup feels frugal to make but tastes so satisfying! 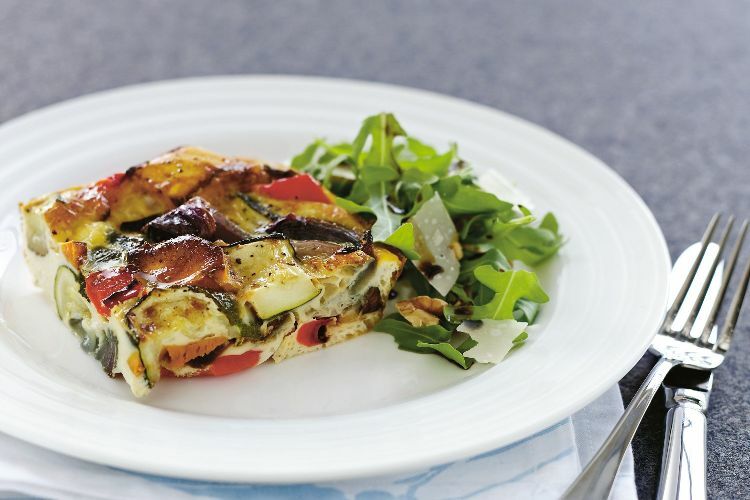 Frittatas are so great. Basically any veggies you have lying around can get involved, just pour over beaten eggs and cook until set. The combination given here works beautifully and that rocket and walnut salad is the perfect green accompaniment! 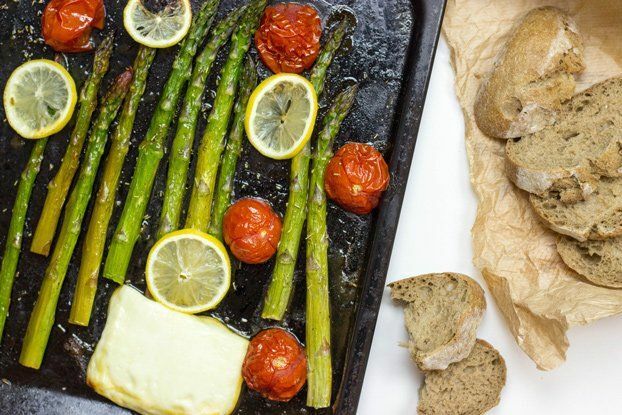 We have so much love for this simple, tasty method of cooking. 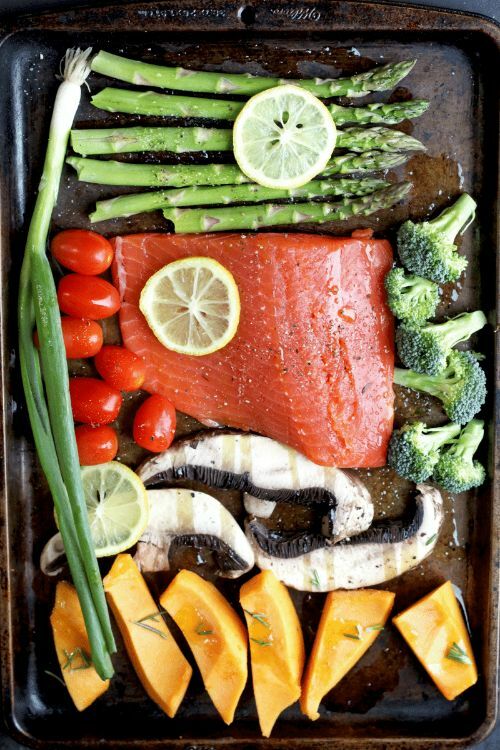 Pop whatever vegetables you want to eat onto the tray (chopped/cut so that they'll cook in the same amount of time), with a fillet of wild salmon and a squeeze of lemon. 20 minutes later, dinner is served! This lovely little recipe couldn't be simpler. 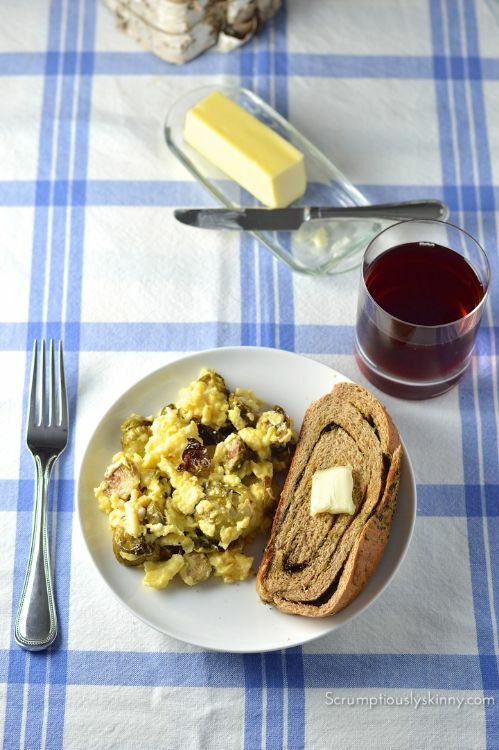 How smart to scramble yesterday's leftover veggies with eggs and Swiss cheese! Delicious, frugal and fast! This is a brilliant, bird's-eye guide to roasting whatever vegetables you have or need to use up! With some really inspired ideas for flavor combinations, dressings and how to make sure everything cooks just perfectly; you'll never ask 'what can I do with this bell pepper and half an onion,' again! 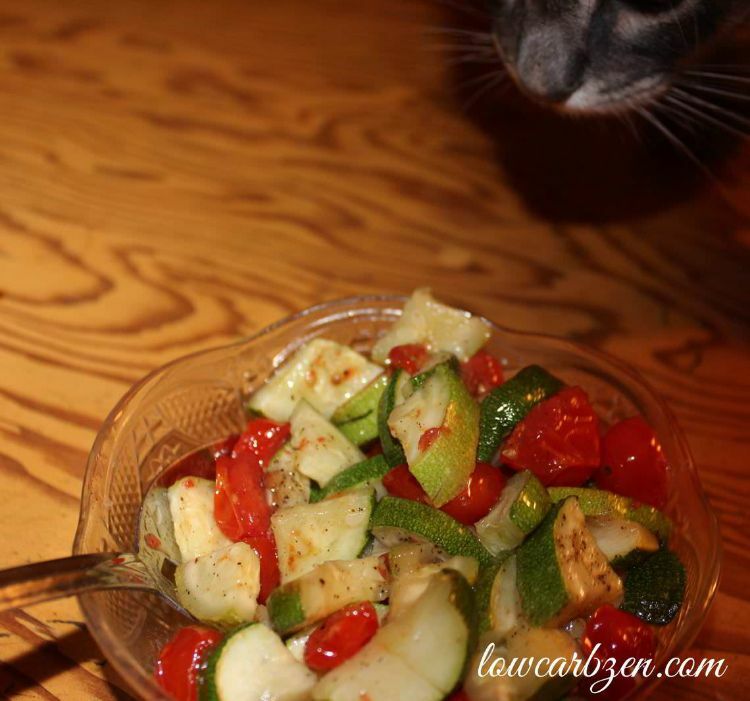 If you have a lonely-looking zucchini lurking in the vegetable box and a handful of tomatoes, then you have dinner! Use bacon grease or pieces if you have them or a few slices of chorizo if you don't (the dish will still work if you have neither, just use olive oil and a splash of balsamic vinegar), and any other chopped veggies that need some love and attention! This savory, beefy, cauliflower-rice dish is pretty fabulous. Garlic, soy and hot sauces with green onions give really a deep and satisfying Asian-style flavor. Even better, you can throw whatever leftover veggies you need to use up right in there! 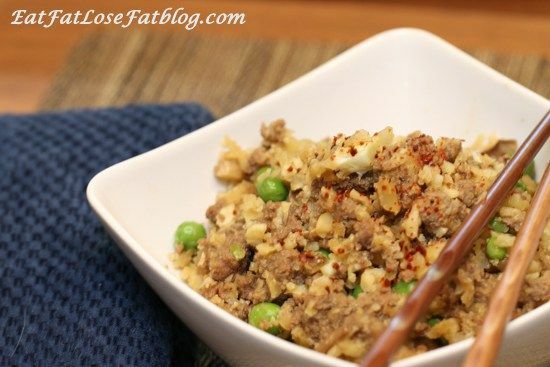 This low-carb play on fried rice features cauliflower, coconut milk and a touch of spice. Peanut butter is a staple food in most households. This is good news for low carb foodies because peanut butter is actually not a dietary restriction. This is going to be your new favorite low-carb salad. I just know it.